Crappie crankbaits are exciting for catching panfish like crappie, perch, bluegill, and even small sized largemouth bass and smallmouth bass. 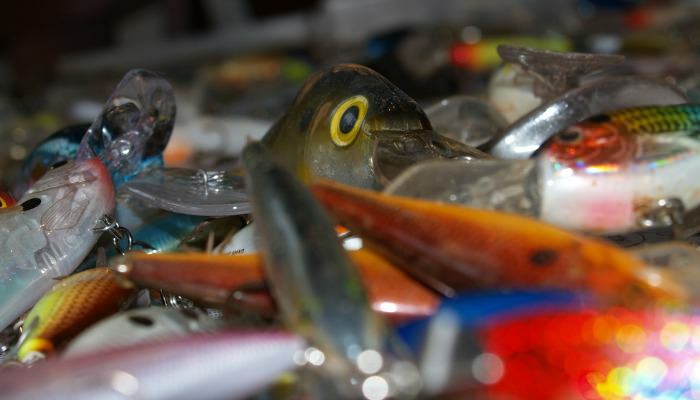 Or, if you're fishing for larger types of fish like big fat largemouth bass, pike, walleye or musky, then regular sized crankbaits with crappie color patterns could entice those bigger fish to bite. You might even be able to reel in some giant slabs or possibly the next world record crappie. Crankbait fishing is pretty much my favorite freshwater fishing technique. I enjoy the fast pace and the feel of the lure as it shimmers through the water, skipping along the bottom, bouncing off of rocks, ripping through the grass and hitting other types of structure. And the bite is so rewarding. Hooking into those fish on a crank bait is like getting a pure shot of adrenaline. Shop for Crappie Crankbaits Here. There aren't a whole lot of companies that produce crank baits specifically for crappies or other panfish. Well, at least not of great quality or too highly demanding for anglers to want to use. But, the few companies that do create crappie fishing crankbaits have it down to perfection. Of course there are others, but these companies are easily available online and make excellent hard baits. Just as well, there are quite a few that make awesome soft plastic swimbaits that are similar to hard plastic crankbaits. Crème and Luhr Jensen are a couple good examples for different varieties of freshwater fishing tackle. There are some excellent deals available for new and used crappie crankbaits. I'm providing you with a few of the most popular resources online that I use myself, and I would like to generously pass on my recommendation to you in order to help make your shopping experience much more easier. You should be able to find whatever style it is that you need - from shallow diving, mid range, to deep diving crankbaits.